A lead is a CRM object containing information (telephone number, email, website) of a person or company who has the potential to become a customer – that is, to complete a deal. A lead is the beginning of the process, thus the information contained in a lead may come from a business card collected at a conference, the company website, or a phone call coming in to the sales department. In Bitrix24 CRM lead reports can be easily conducted, reflecting the total amount of new leads, successfully converted to contacts or companies, those on which the sales managers are working on at the moment or leads ended up as “junk”. Sales managers activities on leads are shown in the report as well. Leads book-keeping helps to evaluate the marketing efforts at one hand, and the sales team work effectiveness at the other. Statuses: leads can be assigned various statuses which determine how the lead will progress through the CRM. At some point, a lead will either be removed from the system (junk) or converted to a Contact, Company, or Deal (more about statuses). Opportunity: an estimated amount of the potential sale (please note when you add products to the lead’s form – the total amount of the products added is automatically substituted to the opportunity field). Source: the source where you get the lead from. This information helps to track from where you get the biggest amount of new leads and which channels can be worked on. Contact information: lead’s contacts – email address, date of birth, address, etc. Possible products: products the leads seems to be interested in due to primary evaluation. 2. 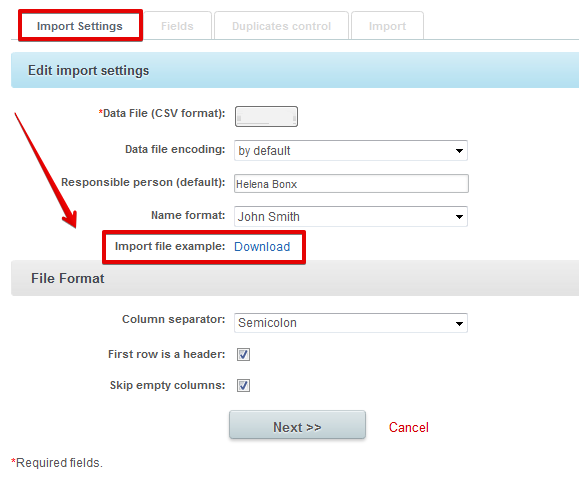 Custom fields: add custom fields of string, number, file, time&date or list type. 3. 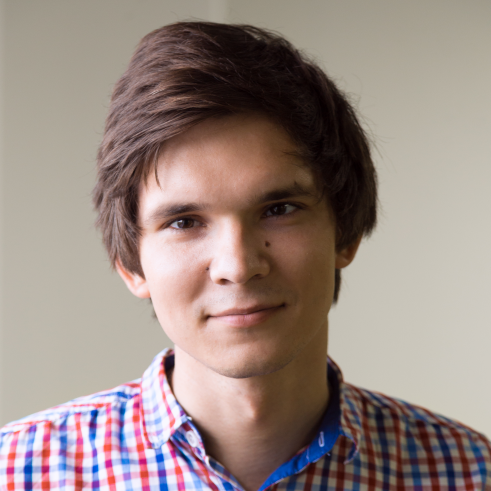 Leads Views: switch between list, kanban or report views. 4. Filter leads: use search & filter options above the leads list to categorize leads or group them by definite parameter (e.g. time created). 5. Duplicate control: search for duplicates by full name, company name phone or email. 6. 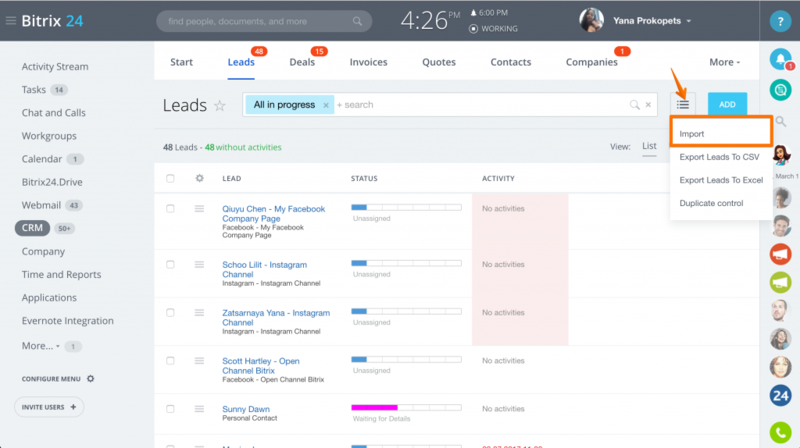 Add activities & check History: add new tasks, emails, calls, visits, meetings or past events to your leads. You can check them under each lead or find all activities under CRM > Activities, and all history under CRM > History. 7. 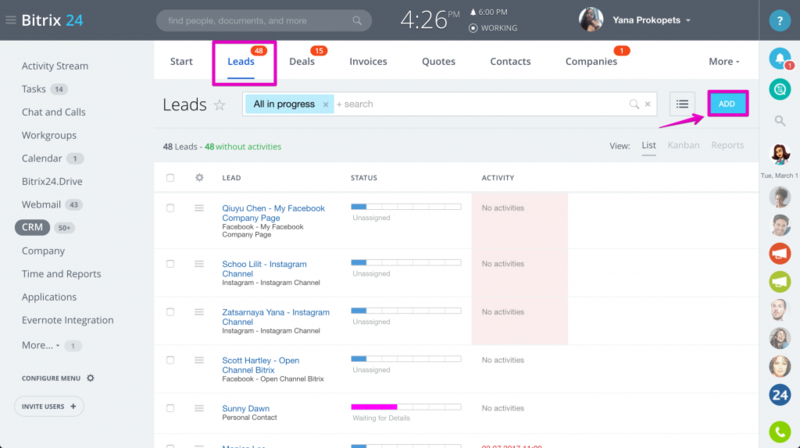 Collaborate on leads: use lead's Activity Stream to discuss leads with your colleagues & share files. 8. Automate leads: run business processes or add automation rules & triggers to leads. 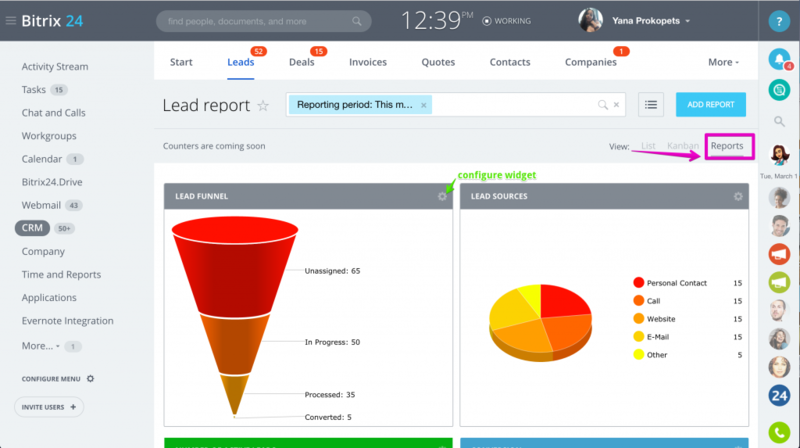 switch to Reports view of the leads section & you'll see bright dashboards. - Leads by manager: report displays income received as a sum of paid invoices issued by individual sales managers. The total from cancelled invoices is also shown. - Leads by sources: shows incoming leads by lead source and compares lead quality using the conversion ratio for each source. New custom reports can be created or any of the existing reports can be copied & edited. More about report wizard here.